Click here to download an Entry Form for 2015 Senior Winter Competitions including Tennis Victoria Pennant, WDTA and Bayside (BRTA). Winter Competitions run from late April/early May to mid August, with finals following the home and away season. Members wishing to play winter competition in 2015 should indicate their preferences by completing this form and submitting by Wednesday 11th February. Please email completed forms to James Curtin (james.a.curtin@gmail.com) to advise your interest in playing winter competition so that you are not missed. All queries can be directed to James Curtin on 0403 222 894 or via email as above. 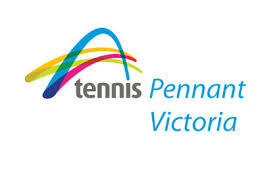 Alternatively for general information on pennant, including changes for the 2015 season, please follow the below link to the Pennant page on the Tennis Victoria Website.